Palace of Versailles and Arc de Triomphe are good opportunities to explore the local culture. Museum-lovers will appreciate Musee d'Orsay and Louvre Museum. There's lots more to do: pause for some serene contemplation at Basilique du Sacre-Coeur de Montmartre, get a sense of history and politics at Hotel de Ville, admire the striking features of Cathédrale Notre-Dame de Paris, and examine the collection at Musee Rodin. To find maps, where to stay, ratings, and more tourist information, read Paris online travel route planner . If you are flying in from United States, the closest major airports are Paris-Orly Airport, Charles de Gaulle International Airport and Paris Beauvais Tillé Airport. 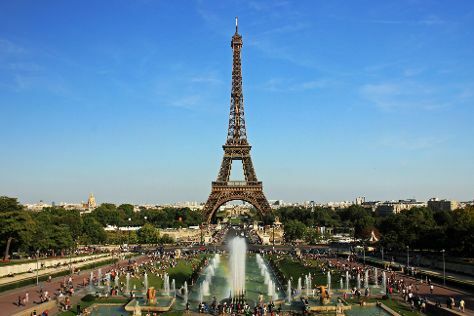 In September in Paris, expect temperatures between 70°F during the day and 53°F at night. Wrap up your sightseeing on the 14th (Sat) early enough to travel back home.